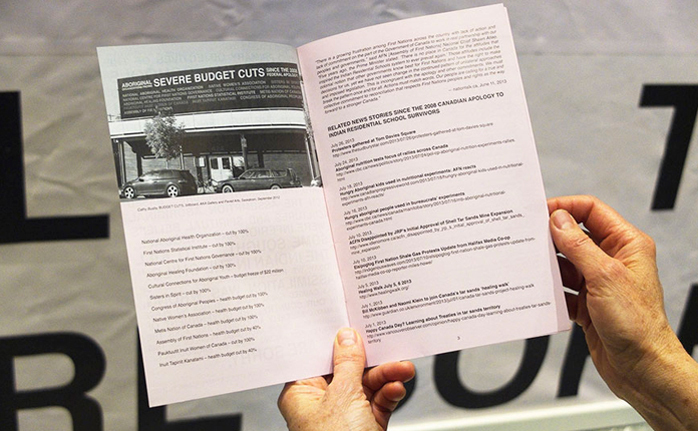 WE ARE SORRY 2013 was composed of a large vinyl text panel, a pamphlet and a stack of take-away pieces cut from We Are Sorry Laneway Commissions, Melbourne, Australia (2009 - 2013). 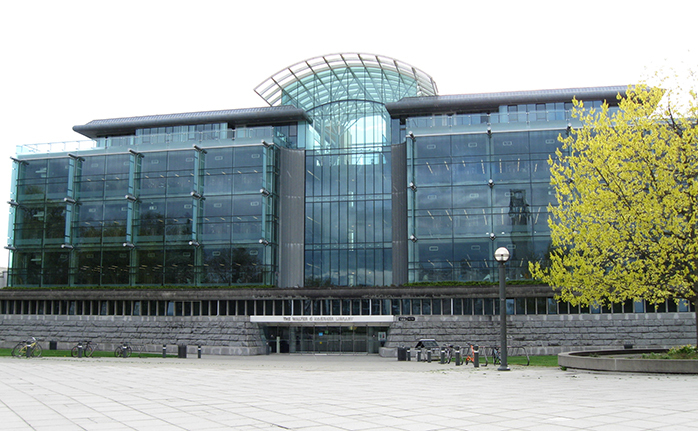 The installation was located in the Koerner Library University of British Columbia (UBC), and was part of Witnesses: Art and Canada’s Indian Residential Schools at the Belkin Art Gallery, UBC, September-December 2013. 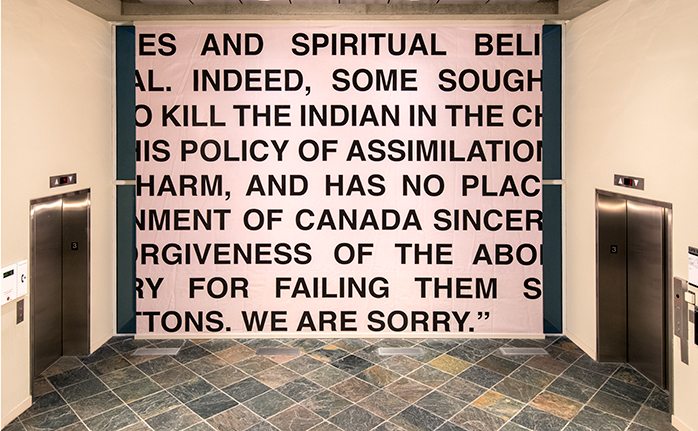 WE ARE SORRY 2013, is a response to the erosion of the 2008 apologies to First Nations Indian Residential School survivors in Canada and Aboriginal ‘Stolen Generations’ in Australia. 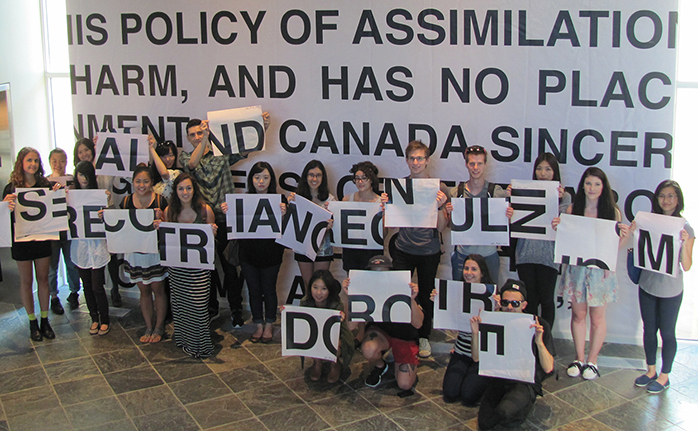 Focusing on the Canadian apology, it’s also a continuation of my work BUDGET CUTS (2012). 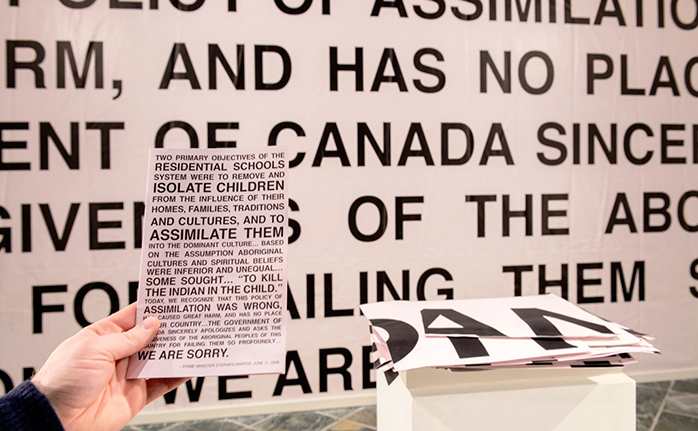 For WE ARE SORRY 2013, I cut a section from the panel of the Canadian apology that had been exhibited in Melbourne. 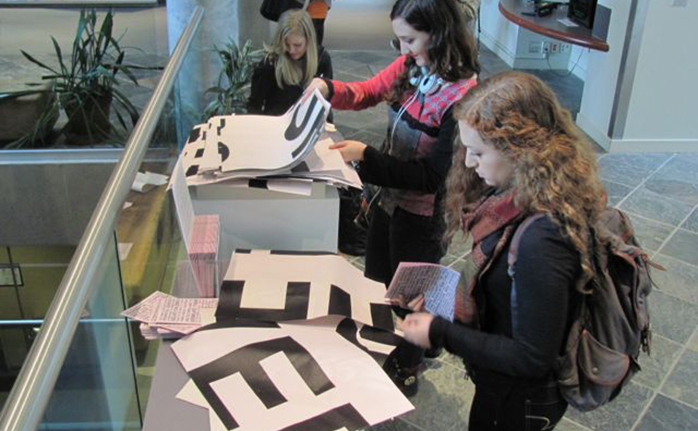 It was presented along with a stack of nearly a thousand cut pieces of the remaining artwork available for visitors to take away. 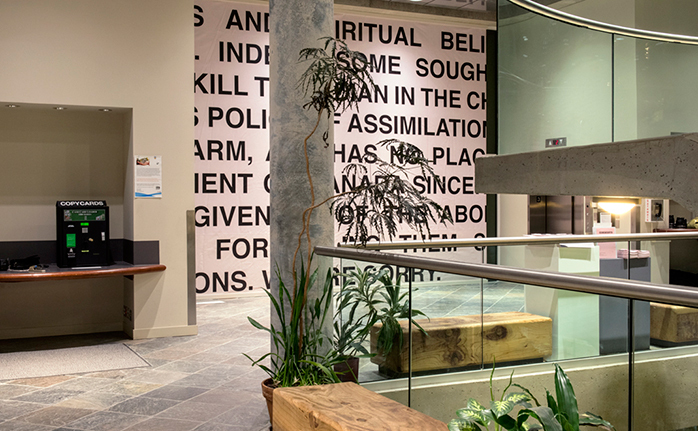 The dispersal of this work is intended to be a reminder of the need to take responsibility for a justice-based coexistence between Aboriginal and settler peoples in Canada. The pair of panels of WE ARE SORRY Melbourne, Australia (2009-2013) was made up of my edited versions of the governments’ 2008 apologies to Indian Residential School survivors in Canada and the Indigenous ‘Stolen Generations’ in Australia. 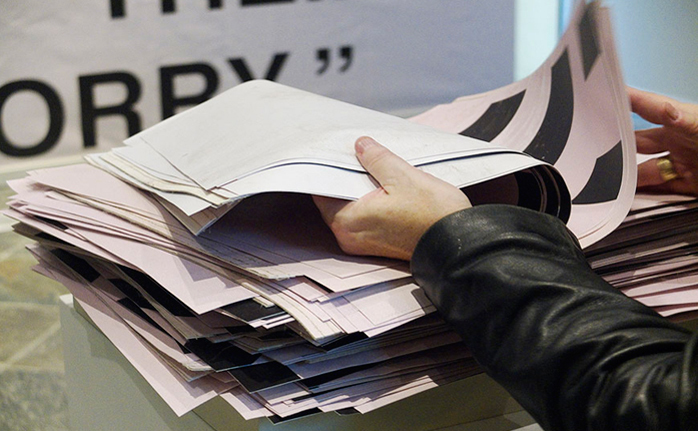 The two shades of pink represented approximations of the complexions of the heads of state who had made these apologies.